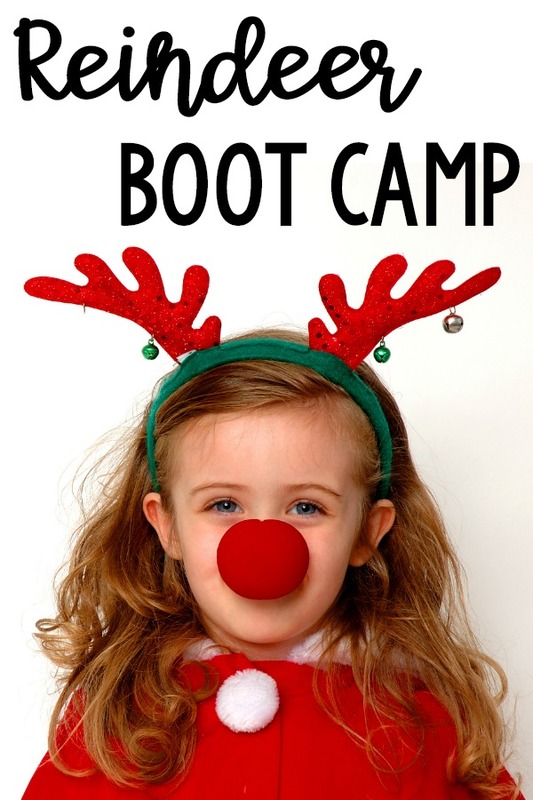 If you are looking for a fun gross motor themed activity to try this December Reindeer boot camp is a must! It’s a really fun way to work on gross motor skills with a holiday theme. In reindeer boot camp the kids will see all the work the reindeer have to do to get ready to pull Santa’s sleight at Christmas. The kids will love this a so will you. You can set-up reindeer boot camp in stations or do different activities each day. It really depends on what fits your needs the best. Set up an agility course with an agility ladder (affiliate link)or tape on the floor. Have the kids work on moving through the agility ladders doing different patterns. Use the free agility cards in the freebie library or as a member get official reindeer agility cards from the members only product library. Reindeer need to be agile, quick and need good balance as they carry Santa in his sleigh. Practice these gross motor skills with a cone training course. Add even more ideas like weaving through cones, hopping over cones, or single leg stance cone taps. Even more ideas are available in the member’s only video library. 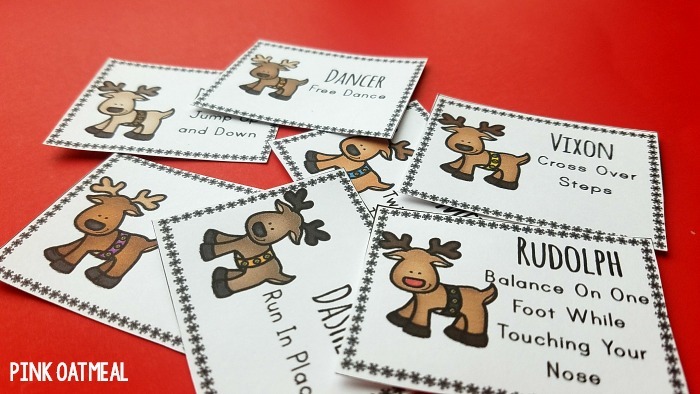 Work on your different gross motor skills with the Reindeer Run Cards that are available for free in the freebie library. Fill Santa’s sleigh with Santa’s helpers (friends) or toys/books/presents and work on pushing and pulling the sleigh. Use a clothes basket, big box, wagon etc as Santa’s sleigh. The reindeer need to be sure to help Santa get all the gifts in the right place. By working on their hoop training they will improve on this skill. A bean bag and hula hoop or tape circle are needed to perform this activity. It may be fun to use Christmas balls instead of bean bags for this activity. Even more training idea video’s can be found in the member’s only video library when you join the Pink Oatmeal membership.